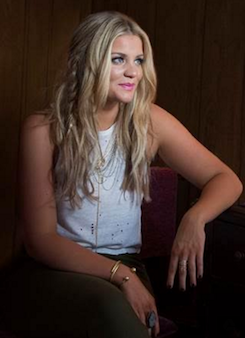 Lauren Alaina will serve as a mentor to a pair of contestants on American Idol on Thursday (Feb. 11). She placed second in the 10th season of the competition in 2011. Signed to Mercury Nashville/Interscope Records, Alaina co-wrote all five songs on her recent self-titled EP, including “Next Boyfriend” and “History.” She will open shows for Alan Jackson this year. Her Top 40 country singles include “Like My Mother Does,” “Georgia Peaches,” and “Eighteen Inches,” all from her 2011 album, Wildflower. In addition, Cam will be featured on the Feb. 12 edition of CBS This Morning and appears on the cover of the new issue of Pollstar, a touring publication. Her single, “Mayday,” will go for adds at country radio on Monday. 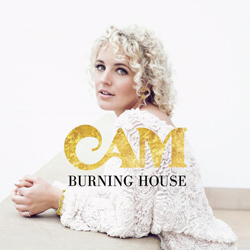 Cam is currently on tour through February 27 with headliner Brad Paisley. Beginning May 12, she’ll hit the road as a special guest on Dierks Bentley’s Somewhere on a Beach Tour. Maggie Rose headlined Nashville’s newly-reopened 12th & Porter on Tuesday (Feb. 9), performing to a full house. She is signed to Dallas Davidson’s Play It Again Publishing. The Morrison Brothers and Trea Landon were also on the bill. Rose will perform on the Grand Ole Opry on Saturday. Teenage sister trio Southern Halo will join Bobby Rush, the Cedric Burnside Project and the DMI All-Stars for an event titled Mississippi Night at the Grammy Museum at LA Live. The event will be held at the Grammy Museum in Los Angeles on Thursday (Feb. 11). 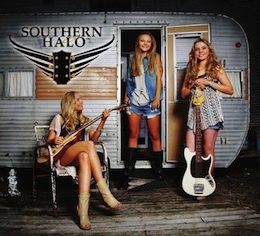 Southern Halo, who hail from Cleveland, Mississippi, are a modern country-rock band with sisters Natalia Morris on guitar and lead vocals, Christina on drums and vocals, and Hannah on bass guitar and vocals. The video for their new single, “Little White Dress” has appeared on the MusicRow CountryBreakout Chart and been played on Great American Country, The Heartland Network and ZUUS Country.